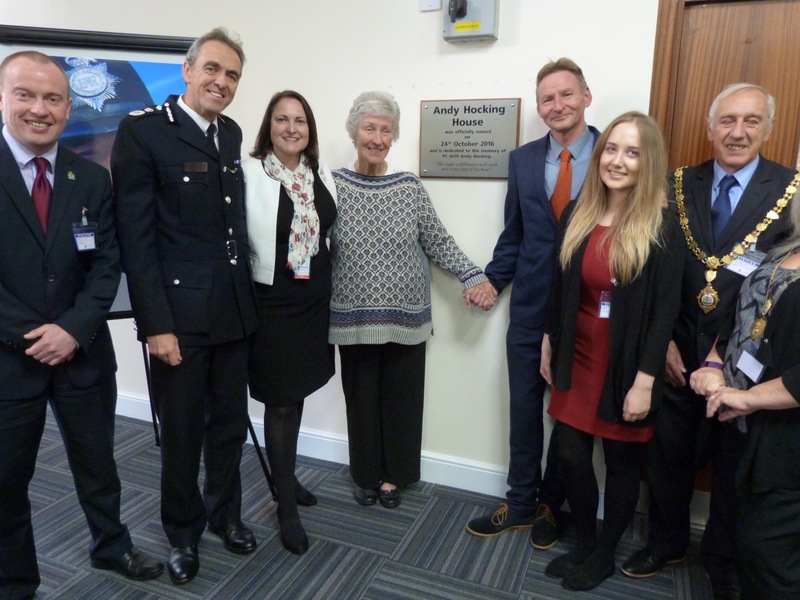 A building at the heart of Devon and Cornwall police headquarters has been named in honour of much loved Falmouth PC Andy Hocking. Thousands of local people paraded through the town as a mark of respect when Andy died suddenly in March 2015. He was just 52. His impact on the local community was immense, and he epitomised everything that is good about neighbourhood policing. Now, in addition to permanent tributes in Falmouth, his memory will live on at Middlemoor HQ in Exeter where new recruits will see his name on a daily basis as they begin their training and follow in his footsteps. Speaking at the ceremony Andy’s brother, Frank, said: “We as a family are immensely proud of the naming of Andy Hocking House. “Andy was a tremendous credit to family, to the local community and to Devon and Cornwall Police. “This is a wonderful opportunity to have a permanent tribute at police headquarters and recognise the tremendous impact that Andy Hocking made. “I have heard countless stories about what a wonderful influence he was on the whole area. So many people responded to the help they received from him. Ms Hernandez was joined by Chief Constable Shaun Sawyer for the opening ceremony. Family members attended, and others from the Falmouth community were also there, including young force recruits and local police cadets. Many told stories about how they knew Andy, and how he made a real difference. Chief Constable Shaun Sawyer said: “I had the opportunity and privilege to walk with Andy on many occasions to see, hear and feel the impact he had upon the community and how proud he was of it. Equally, to hear the sense of fellowship he felt for his colleagues across the generations of policing. Words such as ‘exceptional’ and ‘unique’ are used all too often, but in his case they are truly merited. 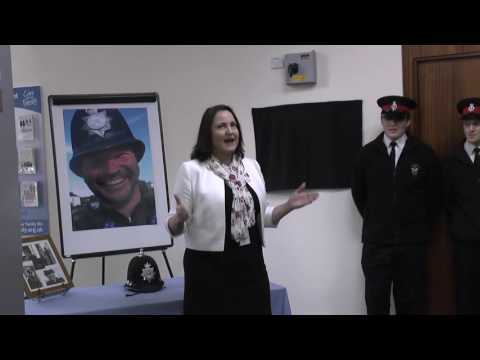 “I am very grateful to the police and crime commissioner in naming a headquarters building Andy Hocking House, not only in recognition of his endeavours, but also a celebration of how one individual from within the police family can create a lasting connection with the public whom we serve. The building houses the PCC’s office, and also contains the police force canteen and other, modern conference facilities for use by the whole Force. Hundreds of officers, staff, PCSO’s and other workers will see Andy Hocking’s name on a daily basis. “Andy Hocking was the epitome of community policing, a familiar and visible cheery face on our streets. More than that, he was our friend,” said the Mayor of Falmouth, Cllr Grenville Chappel.